Midfielders Brad Abbott and Andi Thanoj have become the latest Boston United players to sign contract extensions. The duo have been mainstays of Craig Elliott’s side since joining the club midway through last season, and will remain at the Jakemans Stadium until summer 2020. 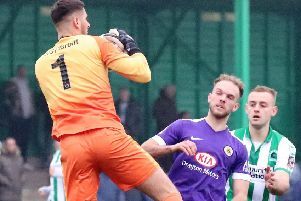 Abbott, 24, has made 54 appearances for the club, scoring eight times, while 26-year-old Thanoj has turned out 50 times for the Pilgrims, but is yet to open his account. The duo follow on from George Willis and Jay Rollins, who have also pledged their future to the club.